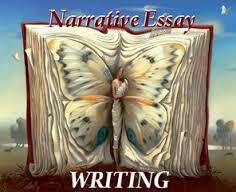 Description: In this unit, we will focus on Narrative Essay Writing. You will learn to write about you and your experiences as a person, or, write a story that you make up. This lesson will attempt to pull you away from the "well known" five paragraph essay. You will brainstorm ideas, write a story, revise the story of a peer, and write the final draft of your essay. But, most of all you will expand your writing ability.